It’s official! Winters have arrived. I know winters have come when I have to pull back my woolen clothes from the back of my closet and make a wardrobe transition. But what about a transformation with regard to my house? I am someone who craves for change and when it comes to my home, it’s no different. I like welcoming summer, spring, autumn and winter in my house through varied ways. Don’t think that it costs an arm and legs. Going for a seasonal decor in detailed form is an expensive as well as time-consuming affair. I can’t afford both. If you sail in the same boat like me, you should like this post because I am going to list my favorites ways to make way for a cozy interior. One of the many luxuries of life is snuggling up inside a warm blanket on your couch and reading book while sipping on a cup of hot cappuccino. 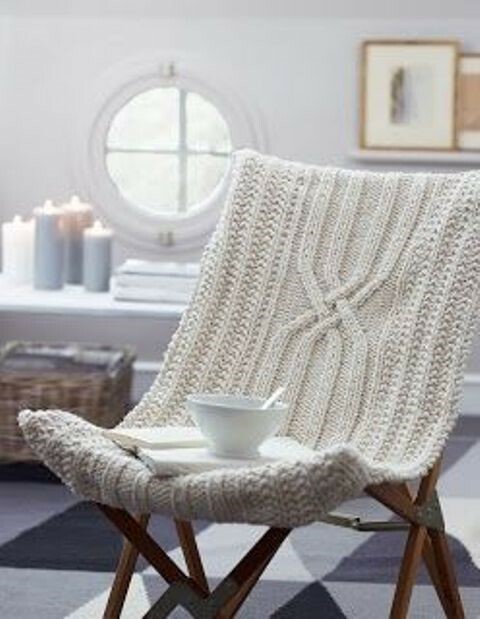 Take advantage of the best textures found in blankets and sofa throws to create a warm and snuggly place for yourself. Buy only pieces that are good quality otherwise the whole purpose will be defeated. Don’t skip on quality pieces just to save a few bucks. If you have your home done in a color palette of soft shades, opt for throws in bright shades to add a pop of color. Getting up from bed and landing your feet on the chilled floor. That’s super annoying in winters, right? It used to be a common case with me as I always forget to put on slippers the first thing in morning. I got rid of this situation by welcoming a plush rug in my bedroom. Not to forget mentioning, my bright orange rug increased the style meter of my house. Just ensure that you buy one keeping the measurements of your room in mind. While one art of layering belongs to fashionable clothing, the other belongs to home decor. I have seen many people going over-board with putting on layers in their room which only adds to the weight of the room. This is particularly true for homes with small square inches. Go for a fewer layers but ones which are nicely fuzzy and will keep you warm even in dripping temperature. You can even add string lights if you want to give a fairy tale like look to your house. Do you want a focal point for your room which not just looks beautiful but also keeps people cozy in room? Place your bets on a magical fireplace and you won’t regret it. The glow emitted from the fireplace adds up to the radiance of any room and a beautiful accompaniment on chilly nights. You can go for one with a natural appeal or mantels too. Come winters and my obsession for buying candles starts. This holds true for various shades and scents they come in. What better season than winter to display my candle love in my house and also invite that warm feel! There’s something magical about their presence. You can go for candle lanterns or candle stands. There are a lot of creative ways to place them as per your style or maybe, a special occasion.